Thanks to donors like you, we’re able to provide food-insecure Marylanders with pathways out of hunger while distributing more than 102,000 meals every day. 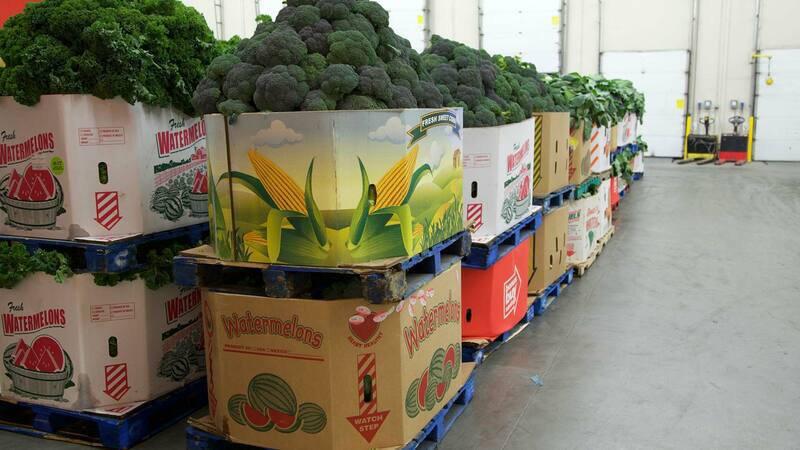 Your donations make all that we do possible, so you should know how that the Maryland Food Bank uses all donations efficiently. *Based on 2018 audited financial statement, which includes donated funds and food. Together, we did a lot to improve the lives of our hungry neighbors in FY18. 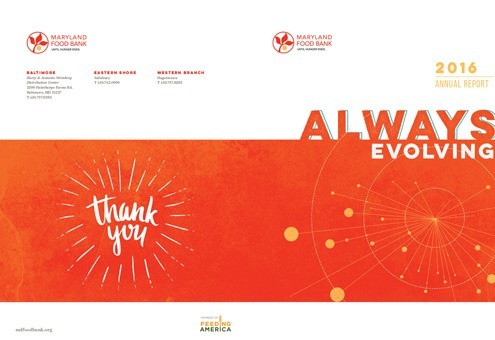 Hear from Marylanders whose lives you have impacted, read about the growth of existing programs, and learn about the new initiatives that you made possible through your generosity. 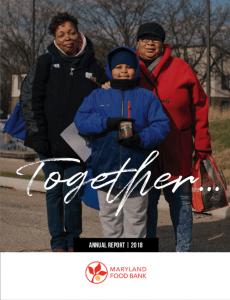 In FY 17, we served the needs of food-insecure Marylanders while taking important steps to ensure the long-term financial sustainability of the food bank. In 2016, we increased our efficiency by redefining truck routes, implementing a new food distribution model, & reconfiguring the layout of our warehouse. 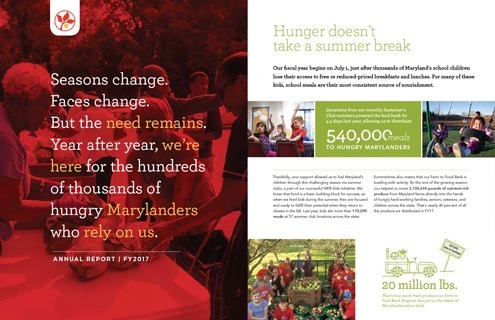 Our growth and success in reaching more hungry Maryland families is only possible due to the continued support from benefactors like you. Simply put, without you, there is no us, and the hundreds of thousands of people we serve across the state would not have food to eat. We cannot thank you enough for supporting this important work.